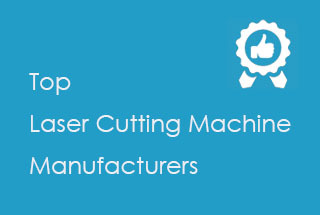 There is no problem with cutting steel plate below 10mm with the laser cutter. 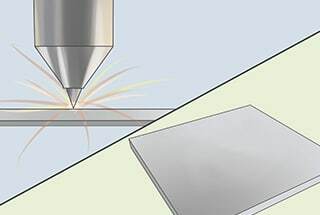 But if you want to cut a thicker plate, you often have to turn to a high-power laser with a power output of more than 5kW, and the quality of the cutting is also significantly reduced. 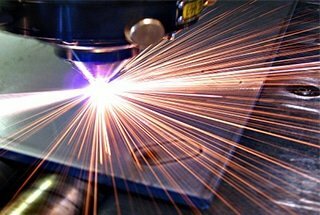 Due to the high cost of high power laser equipment, the output laser mode is not conducive to laser cutting. 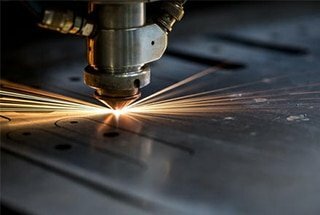 Therefore, traditional laser cutting method has no advantage in cutting thick plate. The combustion process under quasi-stationary state is difficult to maintain. 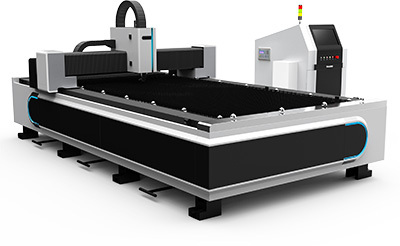 In the actual cutting process of the metal laser cutter, the thickness of the plate that can be cut is limited. 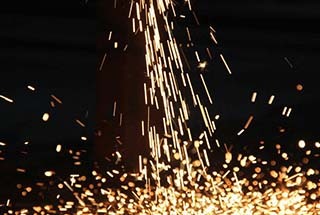 This is closely related to the unsteady combustion of an iron cutting edge. The temperature at the top of the slit must be up to the ignition point to support the continuous combustion process. The energy released alone by the iron oxide combustion reaction does not actually ensure that the combustion process continues. On the one hand, the cutting edge temperature is reduced by continuous cooling of the oxygen flow from the cutting nozzle. 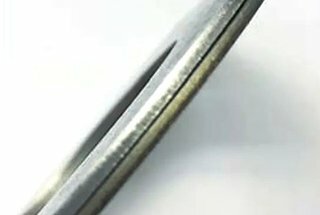 On the other hand, the iron oxide layer formed after combustion covers the surface of the workpiece, preventing the diffusion of oxygen. When the oxygen concentration is reduced to a certain extent, the combustion process will be extinguished. 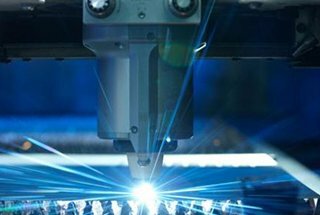 When laser cutting is carried out by the traditional convergent beam, the laser beam act on a very small area on the surface. 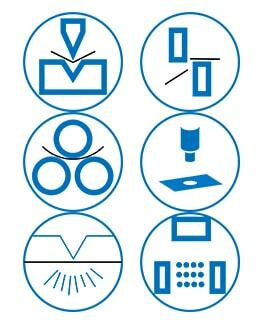 Because of the high laser power density, the surface temperature of the workpiece reaches the point of ignition not only in the area of laser radiation area but also a wider area reaches the ignition temperature due to the heat conduction. 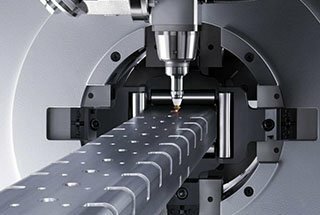 The diameter that oxygen flow act on the surface of the workpiece is larger than the diameter of the laser beam. 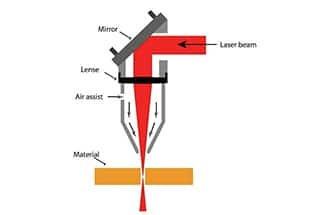 This indicates a strong combustion reaction not only in the laser radiation area but also the outside of the light spot where the laser beam irradiates. The cutting speed is quite slow when the thick plate is cut. 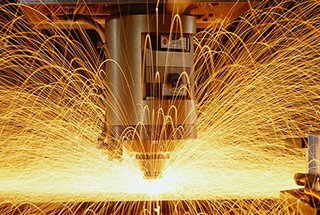 The surface of the workpiece is burning faster than the moving speed of cutting head. After burning for a period of time, the combustion process is extinguished due to the decrease in oxygen concentration. 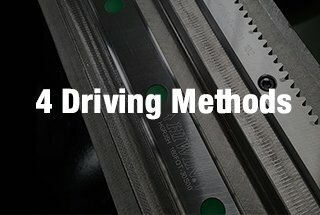 When the cutting head moves to that position, the combustion reaction starts again. 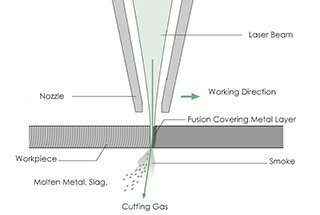 The burning process of cutting edge is carried out periodically, which can lead to the temperature fluctuation of cutting edge, and poor quality of incision. The oxygen purity and pressure in plate thickness direction are difficult to maintain constantly. 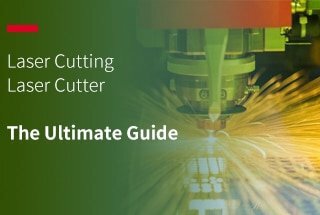 The reduction of oxygen purity is also an important factor that determines the cutting quality when cutting thick plate with the laser cutter. 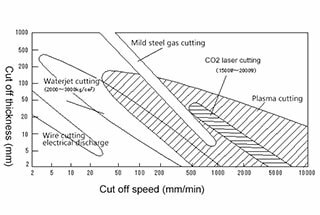 The purity of oxygen flow has a strong influence on the cutting process. 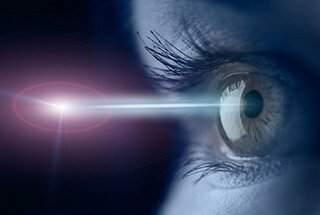 When the oxygen flow purity decreases by 0.9%, the iron-oxygen combustion rate will decrease by 10%. When the purity decreases by 5%, the combustion rate will decrease by 37%. 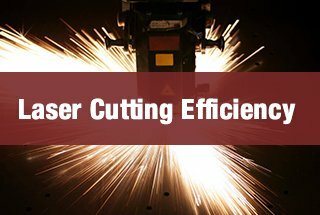 The decrease of combustion rate will greatly reduce the energy input into the cut seam and reduce the cutting speed. At the same time, the content of iron in the liquid layer of the cutting surface increases, which increases the viscosity of the slag, and leads to the difficulty in discharging the slag. In this way, there will be serious slags in the lower part of the incision, which makes the quality of the incision difficult to accept. 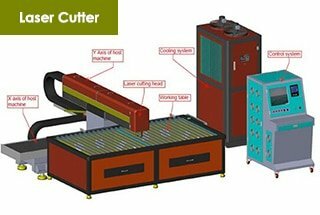 In order to maintain the stability of the cutting, the purity of cutting oxygen flow in the direction of plate thickness as well as pressure should be kept constant. 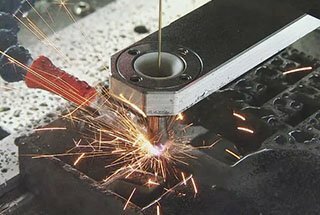 Conventional taper nozzle is used in traditional laser cutting process, which can meet the requirement of use in thin plate cutting. 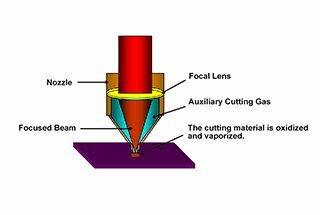 However, when the thickness plate is cut, the shock wave is formed in the flow field of the nozzle as the supply pressure increases. The shock wave has many hazards to the cutting process, such as reducing the purity of oxygen flow and affecting the quality of incision. (1) add preheating flame around the cutting oxygen flow. 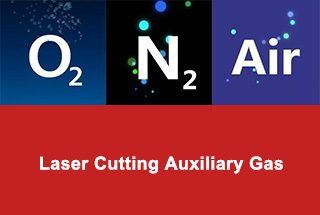 (2) add auxiliary oxygen flow around the cutting oxygen flow. (3) reasonable design of the internal wall of the nozzle to improve the airflow field.